In 1989 Toyota became the title sponsor for the Formula Atlantic series. All cars used the Toyota 4A-GE engine which is a 1.6-litre 4-cylinder engine tuned to produce approximately 240-horsepower. The Swift 014.a was the exclusive chassis supplier in 2001 and all cars used Yokohama tires. The Formula Atlantic series was one of the rungs in Championship Auto Racing Teams (CART) ladder system. The list of alumni was impressive and included many of open wheel stars - Michael Andretti, Jimmy Vasser, Bobby Rahal, Keke Rosberg, Danny Sullivan and the Villeneuves. The season began at Long Beach in April and ended at Laguna Seca in October. A majority of the races took place in the United States but there were four events held in Canada – Montreal, Toronto, Trois-Rivieres and Vancouver. 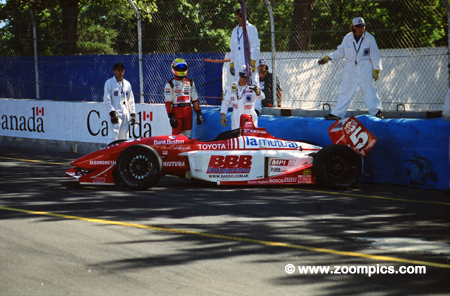 The series was often a support event to the CART series – the exceptions were Montreal as part of the Formula 1 weekend and Trois-Rivieres where they shared top billing with the Grand Am series. Round 8 of the 12-race CART Atlantic Championship was a 45-lap event held on the 1.5-mile Trois-Rivieres street circuit. Since 1974, this was the twenty-sixth time that Formula Atlantic cars had competed at this venue. To attract race fans in the mid-70s Trois-Rivieres promoters would hire Formula 1 drivers such as Vittorio Brambilla, James Hunt and Alan Jones to compete against North America’s finest Formula B drivers. Eventually, Formula 1 drivers could no longer participate as their contracts restricted participation in other series. As a result, the Trois-Rivieres promoters supported local drivers. The 2001 event had local favourites Marc-Antoine Camirand and Stephan Roy and a third driver also from Quebec - Christophe Beauvis. 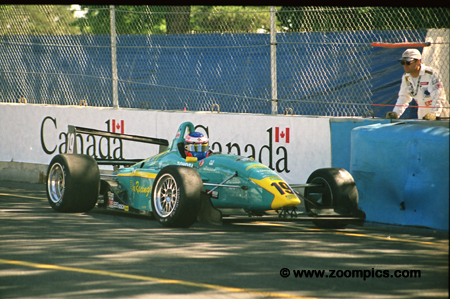 Brazil’s Hoover Orsi competed at Trois-Rivieres in 2000 but failed to finish the race and was classified in twenty-first place result. He entered the 2001 event with the points lead after wins at Milwaukee, Cleveland and Chicago. At Trois-Rivieres, he started from the pole and led flag-to-flag winning by a margin of 1.849-seconds. During practice Martin Basso backed into the tire wall at the Porte Duplessis. During qualifying it appeared that Basso would capture his second pole of the season but towards the end of the session he was displaced by Orsi. Basso ran a steady race and earned a second place which was his best result of 2001. Suffering a similar fate as Basso at the Porte Duplessis was Canadian driver David Rutledge. Rutledge’s incident occurred during qualifying which necessitated a red-flag. Despite the accident, he managed to qualify third but fell short of his performances to date where he had scored three road course poles. Rutledge finished third and was now 25-points behind Orsi. Joey Hand drove for DSTP Motorsports and entered Trois-Rivieres with the lead for the Rookie of Year title – just 5-points ahead of Grant Ryley and Jonathan Macri. At Trois-Rivieres, he lost ground on Macri with a sixth place but still left the event with the points lead. Before the end of the season he would win at Vancouver and Houston – securing the Rookie title and third in the Drivers chase. 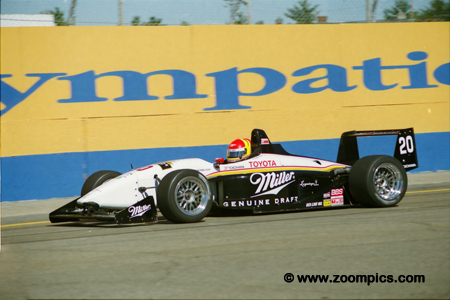 Even though Jonathan Macri was a rookie in the Atlantic Championship he had experience driving the Trois-Rivieres circuit. 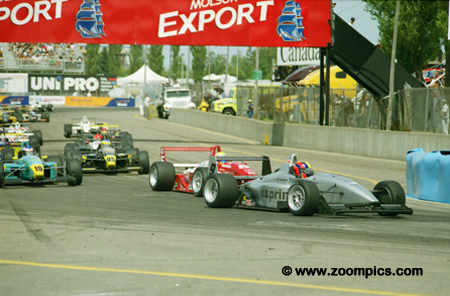 Before his debut in the Atlantic series he competed at the track in the Canadian Formula Ford 1600 Championship. 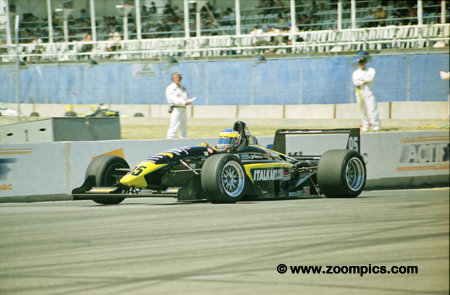 Macri was the second quickest rookie and started and finished fifth behind another Canadian Michael Valiante. 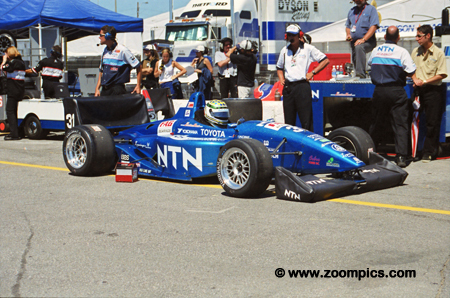 David Rutledge’s teammate at Lynx Racing was fellow Canadian Michael Valiante. At Montreal, in his second race of the season, Valiante qualified and finished second to Rutledge. At Trois-Rivieres, he was fourth quickest – the top rookie. Valiante had another strong showing finishing where he started the race – fourth. 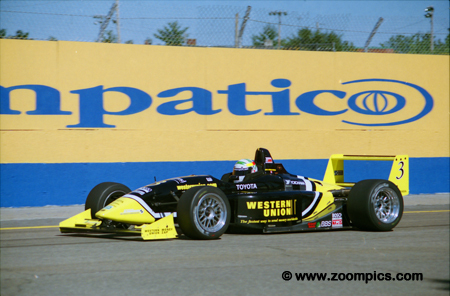 At this point in the 2001 season, Tony Ave was the only driver other than Orsi and Rutledge to post a win. Ave won the second round on the oval in Nazareth, Pennsylvania. Unfortunately, he failed to score points in Cleveland and Toronto which allowed Orsi and Rutledge to move ahead in the points chase. At Trois-Rivieres Ave qualified sixth but retired after only 4-laps with mechanical issues. 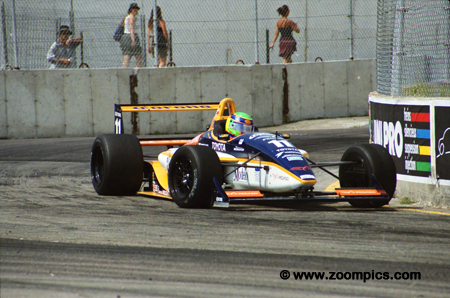 Another Formula Atlantic rookie with Trois-Rivieres experience was Rodolfo Lavin. 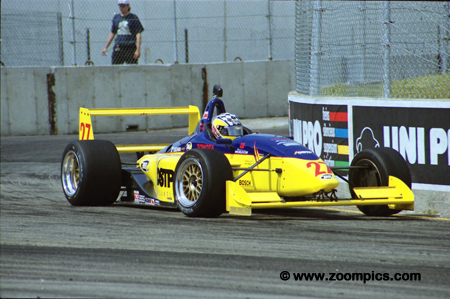 In 1996 and 1997 he competed in the Indy Lights Championship which included this circuit. In 2001, he could only manage to qualify fourteenth but in the race made the greatest progress of any driver when he moved up to a seventh place finish. At Trois-Rivieres area resident Marc-Antoine Camirand was entered in one of the Duesenberg Brothers Racing cars. 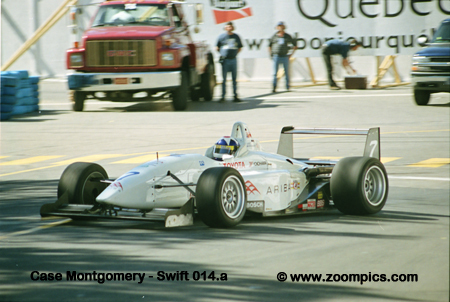 This was Camirands first race of the 2001 Atlantic season. He made his Atlantic debut last year in Trois-Rivieres where he finished tenth after starting the race in thirteenth. He started tenth in 2001 but retired after only 13-laps.